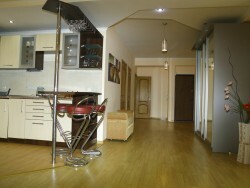 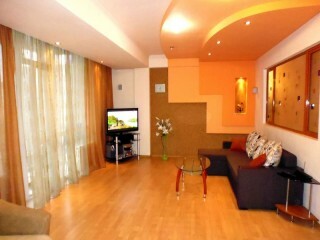 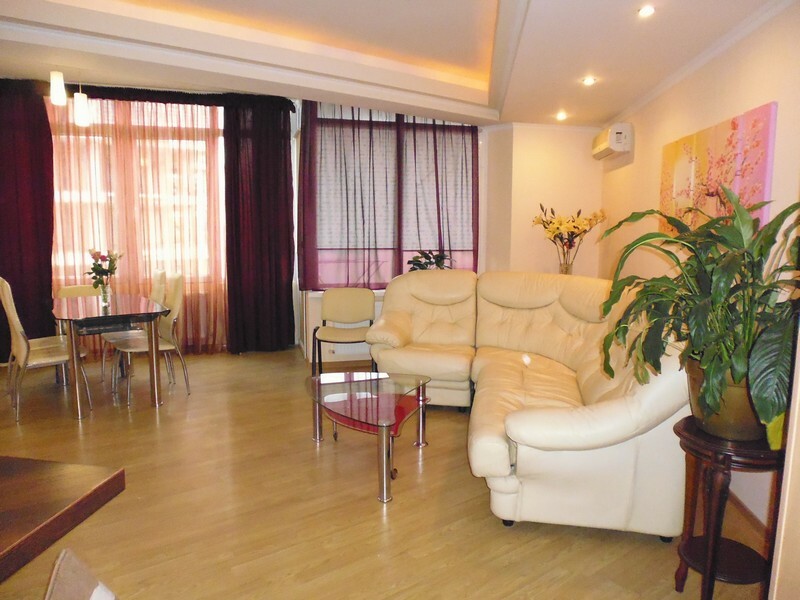 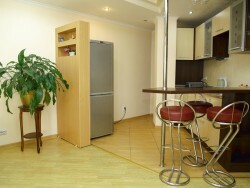 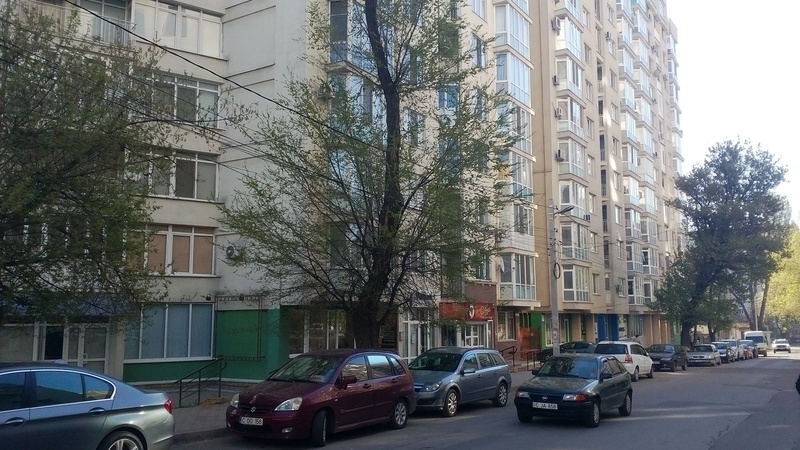 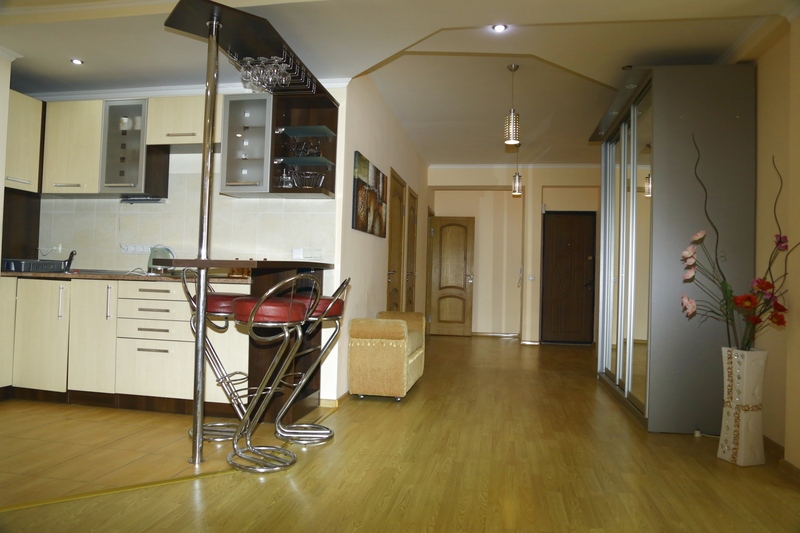 Luxury 3 room apartment for rent in Chisinau with a total area of 85 m2. 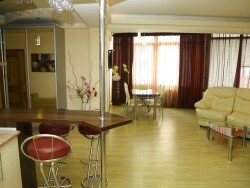 The apartment is unique due to its modern design and an individual interior. There are three air conditioners, two TV sets and free Wi-Fi Internet. 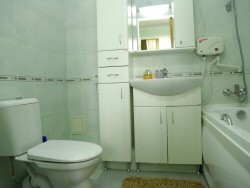 There is a bathroom in each room, while in the living room there is a separate WC. 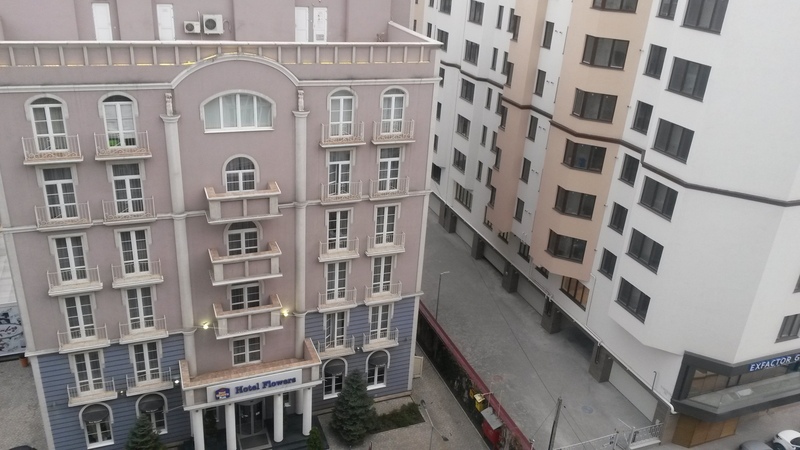 The apartment is located in a new residential building, very close to the intersection of the Stefan cel Mare and Ismal streets. 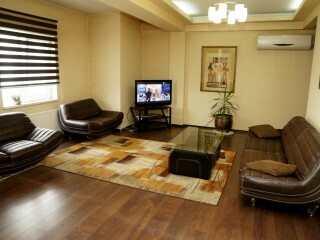 The enclosed yard offers you a parking area, which as well as the building is equipped with video surveillance. 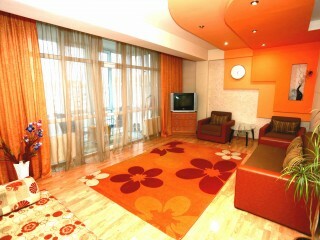 From the window you can see a large children’s playground. 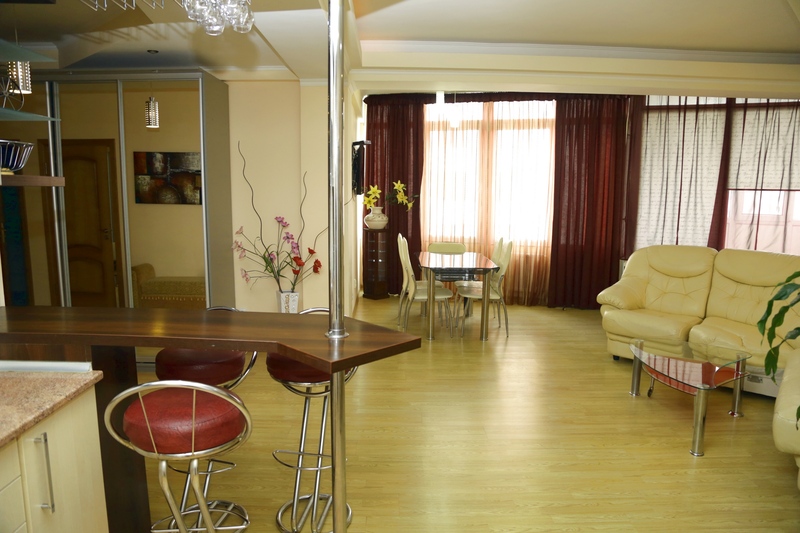 You will definitely enjoy the time spent with your friends or colleagues on leather sofas and armchairs in our huge living room, supplied with a bar counter. 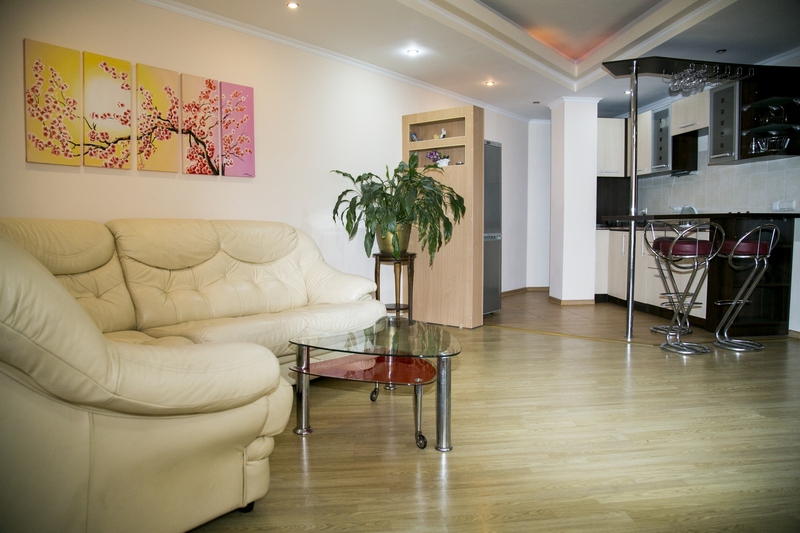 In our apartment, leisure time becomes more enjoyable due to satellite television, with a varierty of more than 1,000 TV channels. 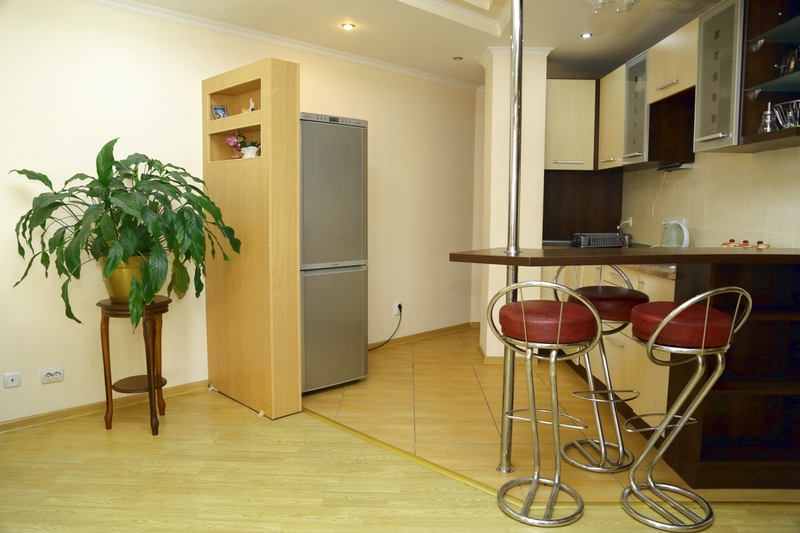 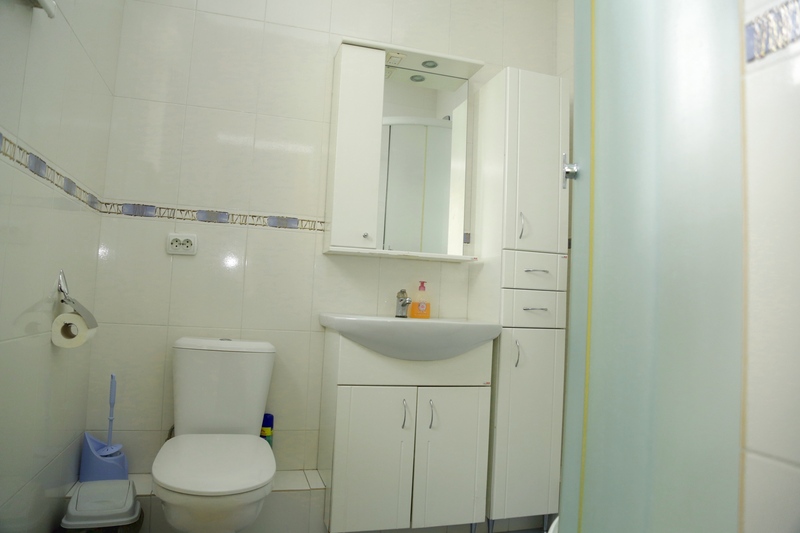 This apartment for daily rent has everything that is needed for a comfortable living of a group of up to 6 persons, including a waching mashine and microwave, the indispensable household appliances and always fresh towels. This luxury apartment will certainly impress you. 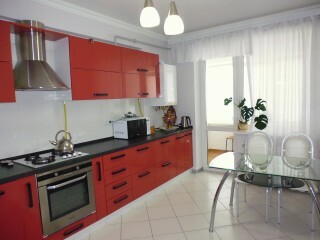 We are waitnig for you! 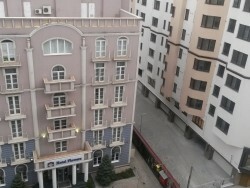 Address:a new residential building on Anestiadi 8 street (close to the intersection of Ismail and Stefan cel Mare streets). 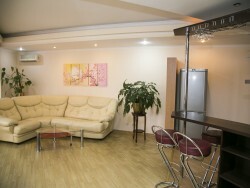 Internet: free Wi-Fi (100 Mbps/s). 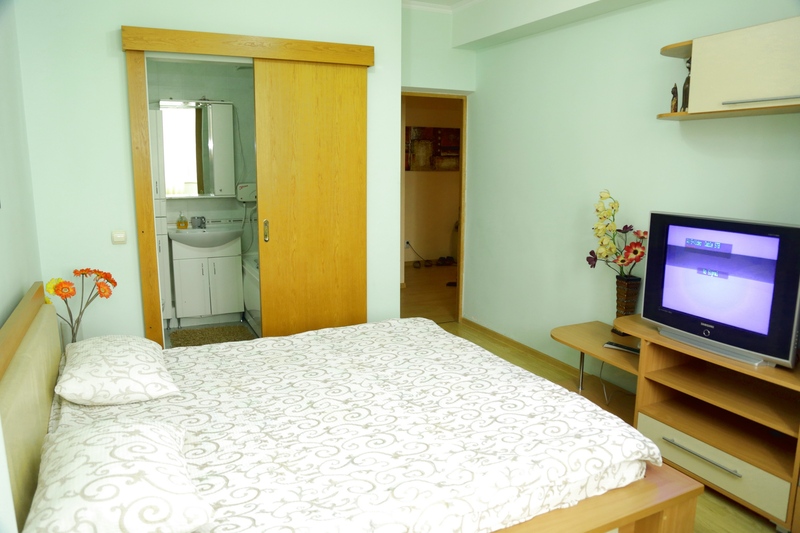 Television: 2 TV sets, satellite television. 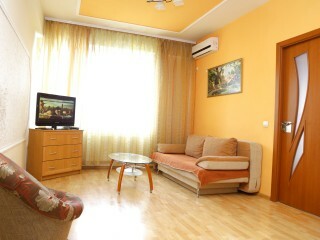 Price: 45 euro per day (8 days and more – 40 euro). 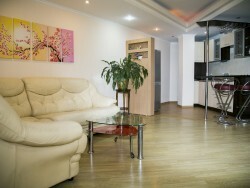 Please specify in advance if you need airport transfer. 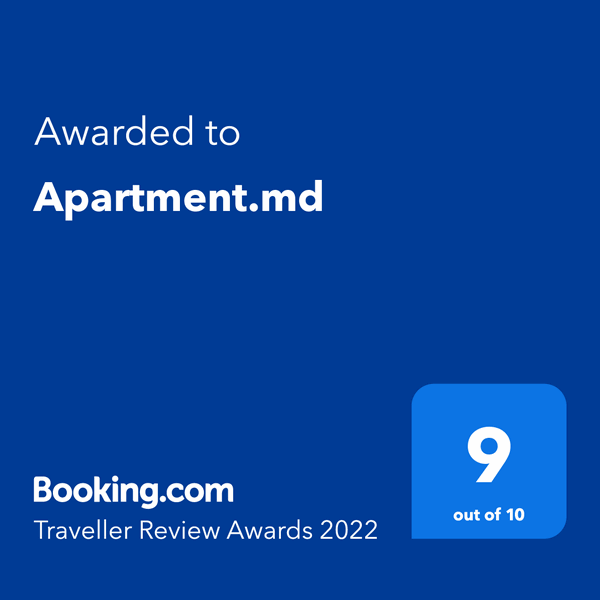 Do you find it expensive? 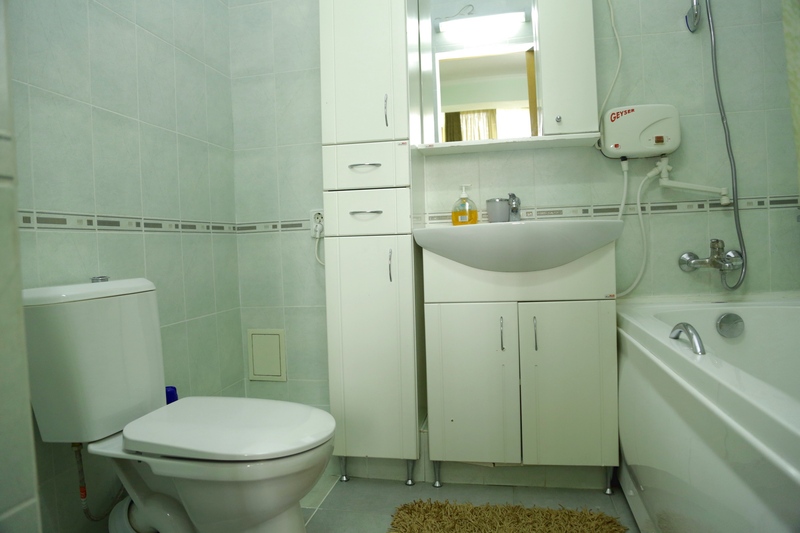 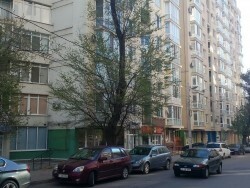 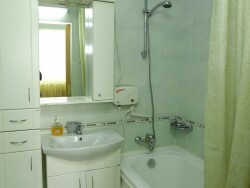 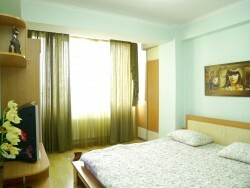 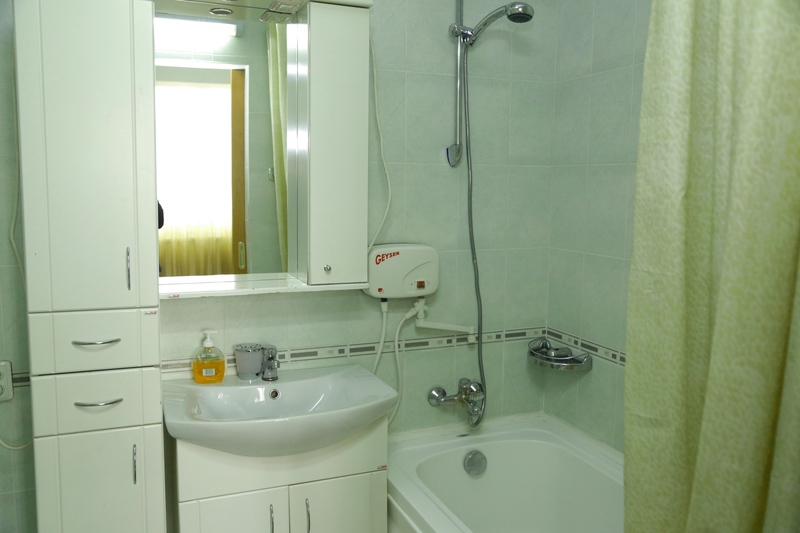 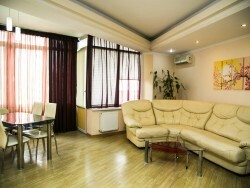 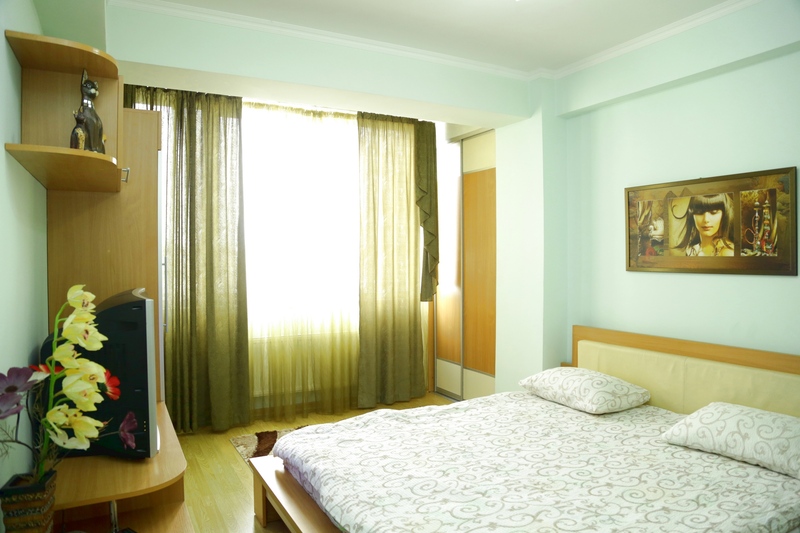 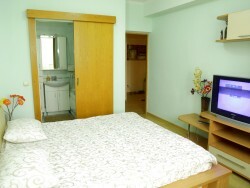 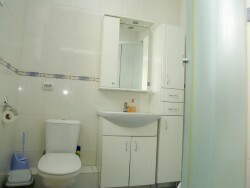 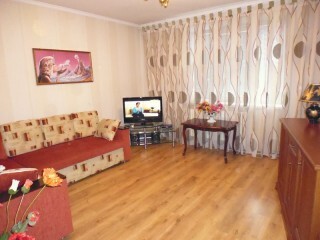 We have a wonderful and large two room apartment for daily rent in Chisinau ID 064 at a price of only 40 euro per day.